New research from the U.S. 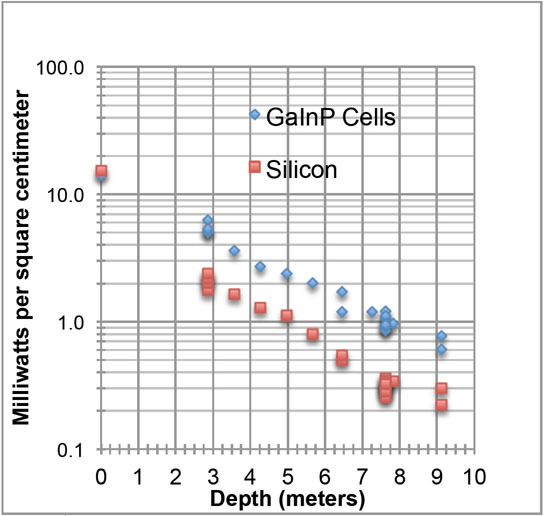 Naval Research Laboratory shows that high-quality gallium indium phosphide (GaInP) cells produce useful solar power underwater, with initial results at a maximum depth of 9.1 meters revealing output to be 7 watts per square meter of solar cells. Be the first to comment on "GaInP Cells Produce Useful Underwater Solar Energy"